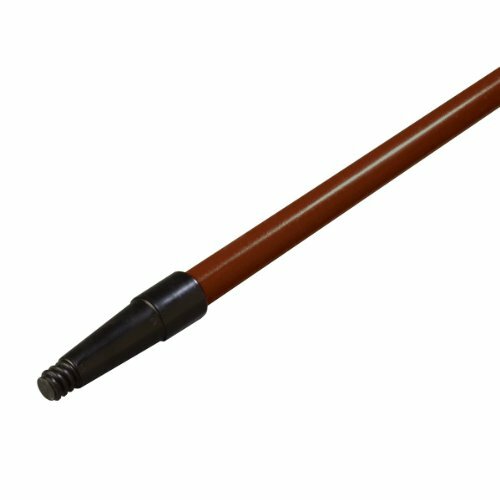 Carlisle threaded, tapered fiberglass handle used with Sparta, Spectrum push brooms, sweeps, squeegees and floor scrubs. Greater flexibility and reduces handle stress. Long-lasting, dependable service. Measures 1-inches diameter by 60-inches length. HACCP compliant brown color. Made in USA.